Guinea defender Florentin Pogba will not play again this season after suffering a thigh injury at the Africa Cup of Nations. Pogba was hurt in the 1-1 draw with Cameroon on Saturday and has returned to his French club St Etienne. The 24-year-old is expected to be out for the next four months because of the serious nature of the injury. 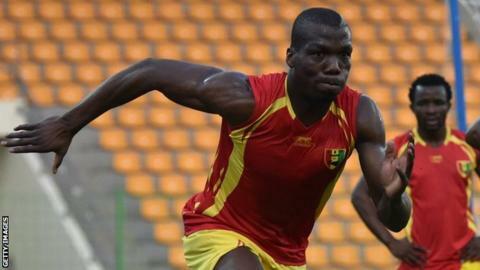 Guinea have reached the quarter-finals at Mali's expense after the drawing of lots, and face Ghana on Sunday. Pogba is the fourth player at the tournament to suffer injury serious enough to rule them out for the duration of the finals in Equatorial Guinea. Zambian pair Emmanuel Mayuka and Nathan Sinkala and Mali's first choice goalkeeper Soumaila Diakite have also suffered that fate.